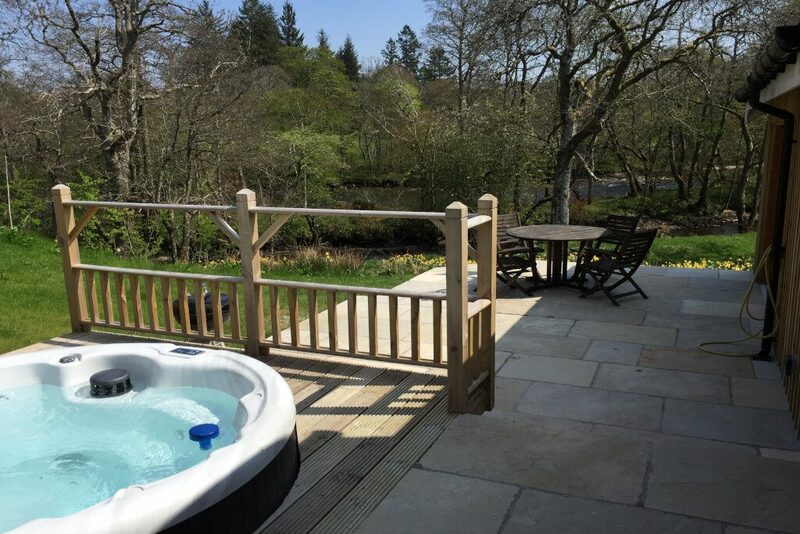 Yew Tree is a luxurious wooden clad cottage with private hot tub on the shores of the River Lochay. 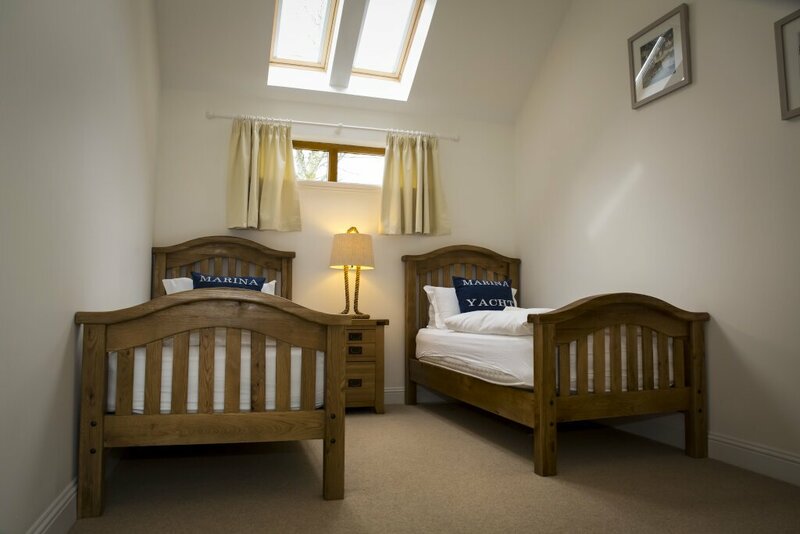 The newly built property sleeps four people comfortably in one king ensuite bedroom and one twin ensuite bedroom. 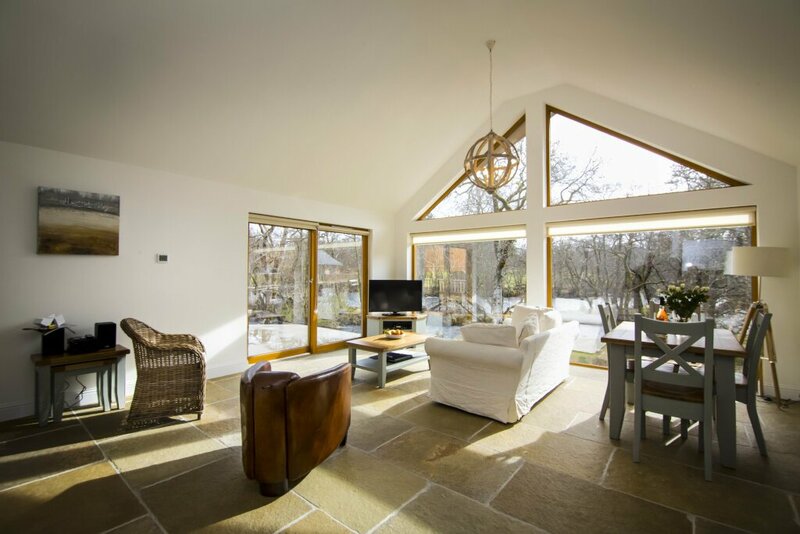 The property is kept warm by the luxurious underfloor heating throughout the property and the cottage boasts wonderful views from the floor to ceiling glass windows over the river towards the golf course. Yew Tree is characterised by a beautiful vaulted ceiling over the spacious living room. 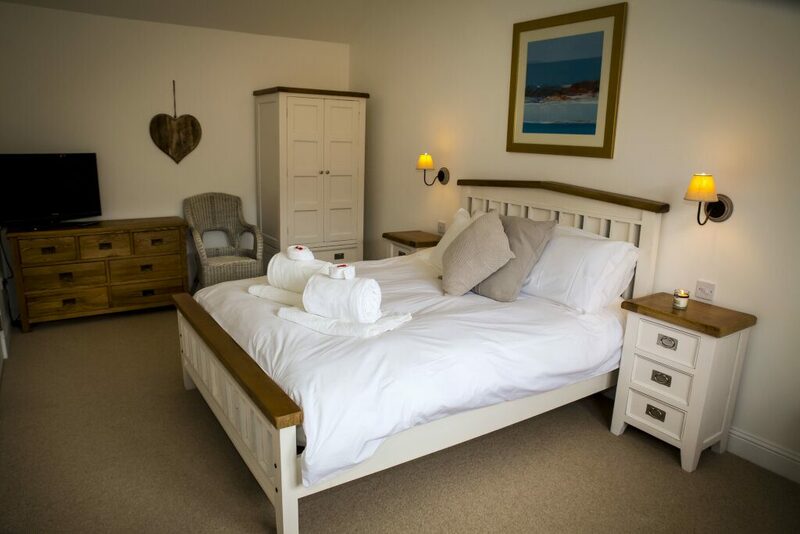 As well as being equipped with all the mod cons including TVs, Dvd, wifi and a selection of books and films to choose from, the cottage is conveniently located close to the village inn, local golf course and other village amenities. As this is a tranquil spot, it is not a place for raucous parties, sorry! 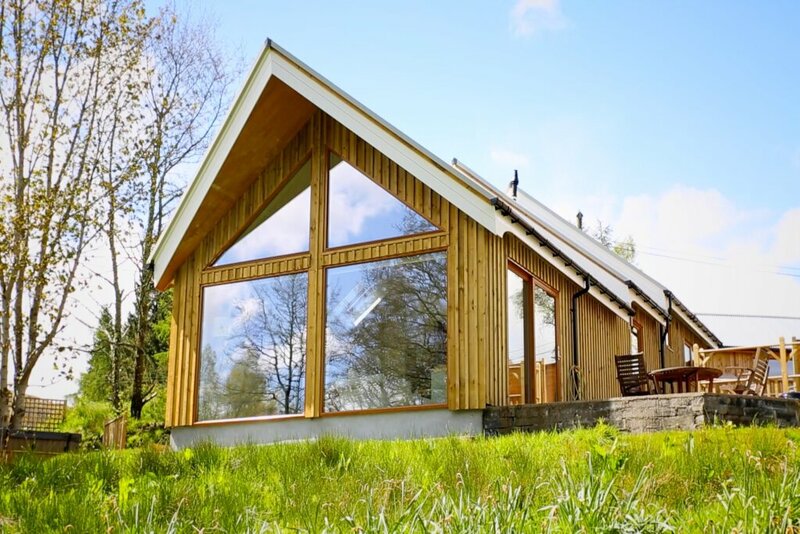 Located on the shores of Loch Tay the Yew Tree Lodge is well placed to explore all the landmarks and villages of Loch Tay and beyond. Yee tree is a fantastic place to either explore the area or just spend some lazy time in a very carefully decorated and maintained place! We did both and the only regret was not to have stayed longer - we will be back! The hotel/bar/restaurant across the road is a very nice advantage should you want to eat out but within walking distance! The co-op in Killin is an easy 10 minute walk and there are nice cafes in town! We rode our bicycles to Lochearnhead using the old train line and the views are amazing - strongly recommend! You have... read moreYee tree is a fantastic place to either explore the area or just spend some lazy time in a very carefully decorated and maintained place! We did both and the only regret was not to have stayed longer - we will be back! We rode our bicycles to Lochearnhead using the old train line and the views are amazing - strongly recommend! You have plenty to do without even having to drive should you wish to do so! The use of the hot tub at the end of the day was a big bonus!!! Yewtree is the most beautiful place to stay. The setting is spectacular and the house itself is very stylish and comfortable. It is a very easy place to relax and enjoy yourself, plus the hot tub is amazing. Yewtree was spotlessly clean and we had everything that we needed. The pub across the road is lovely and it is very easy to walk into Killin and to access some wonderful walks without having to drive anywhere. Even if the weather is bad, Yewtree is a great place to relax and watch the weather and the river from the huge windows! We saw... read moreYewtree is the most beautiful place to stay. The setting is spectacular and the house itself is very stylish and comfortable. It is a very easy place to relax and enjoy yourself, plus the hot tub is amazing. Even if the weather is bad, Yewtree is a great place to relax and watch the weather and the river from the huge windows! We saw some lovely birds and even some red squirrels! We would love to visit again soon. The cottage was simply stunning. We relaxed as soon as stepping into the beautiful space. Almost completely not-overlooked we spent the first day just quietly enjoying the living space looking out onto the river. The bedrooms were really luxurious, large, with lovely soft bedding and comfortable. Having an ensuite too was perfect. Dan made the most of walks and runs - heading out to Kenmore and up Ben Lawers. We all did the Birks of Aberfeldy loop which was stunning in the snow. Visiting The Watermill in ‘feldy is a must for lovely tea, lattes and cakes and the brilliant... read moreThe cottage was simply stunning. We relaxed as soon as stepping into the beautiful space. Almost completely not-overlooked we spent the first day just quietly enjoying the living space looking out onto the river. Dan made the most of walks and runs - heading out to Kenmore and up Ben Lawers. We all did the Birks of Aberfeldy loop which was stunning in the snow. Visiting The Watermill in ‘feldy is a must for lovely tea, lattes and cakes and the brilliant curation of books. We loved the view, the home from home feel and being able to unwind in the hot-tub each night.